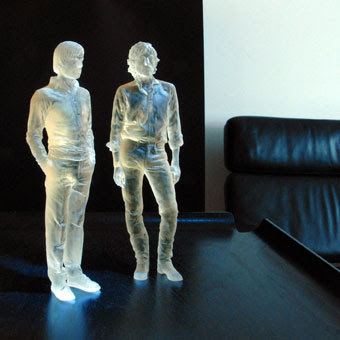 Air are set to release the follow-up to 2004's 'Talkie Walkie' on March 6 on Astralwerks. The record is titled 'Pocket Symphony', features artwork by contemporary artist Xavier Veilhan, and was recorded with Nigel Godrich over the last year and a half. Both Air members, Nicolas Godin and JB Dunckel (aka Darkel), sing on the album, and Jarvis Cocker and the Divine Comedy's Neil Hannon contribute vocals as well.